Spanish company Indra Sistemas SA is working on the development of a new simulator supporting the Eurocopter EC225 passenger transport helicopter. The simulator will be implemented at Eurocopter UK Ltd service and training centre in Aberdeen (Scotland). The Portuguese Air Force (PoAF) AgustaWestland AW 101 Merlin medium helicopter fleet has achieved the milestone of 10,000 flying hours since he has been received in 2004. 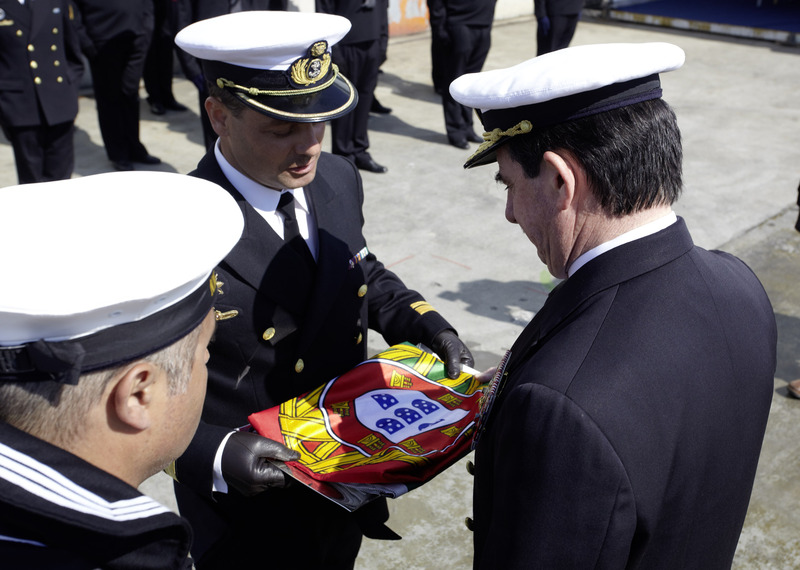 Under a leasing agreement firmed between DEFLOC-Locação de Equipamentos de Defesa SA who has procured the fleet and the Portuguese MoD, the PoAF is operating twelve helicopters on search and rescue tasks, fishery surveillance, tactical transport and medical evacuation missions. The fleet is operated by the Squadron 751 “Pumas” at Montijo air base 6. 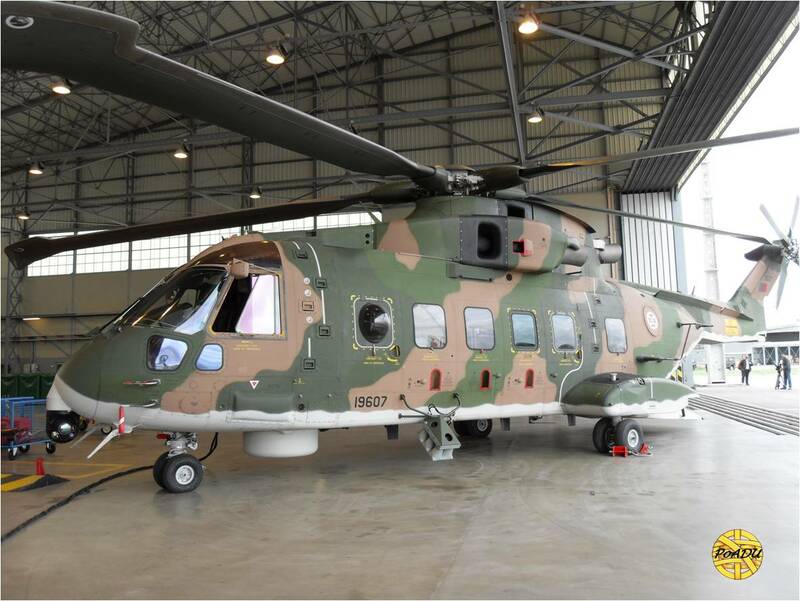 In 2008 AgustaWestland signed a 15 years contract with DEFLOC-Locação de Equipamentos de Defesa SA for the long term provision of support for the twelve helicopters operated by the Portuguese Air Force. 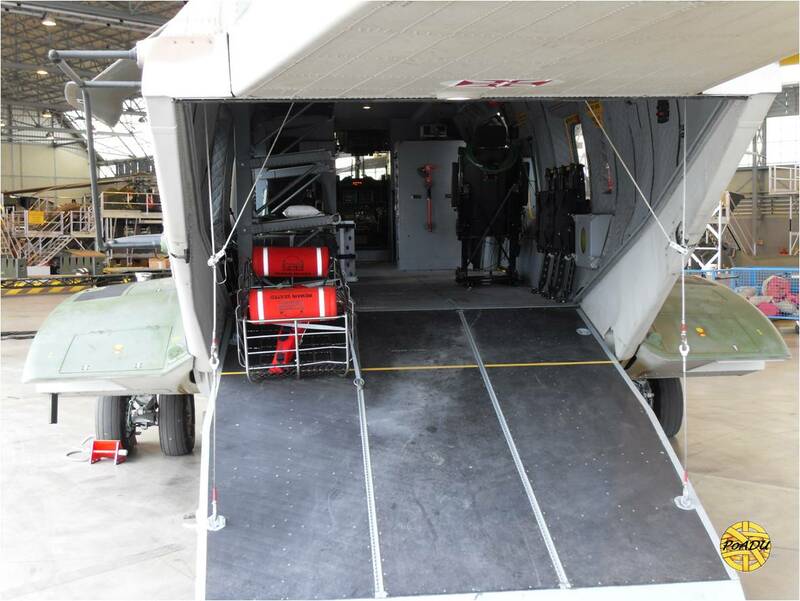 Under the Full In Service Support (FISS) contract AgustaWestland has taken full responsibility for the second level maintenance of the aircraft as well as the provision of spares, repairs and technical support services. 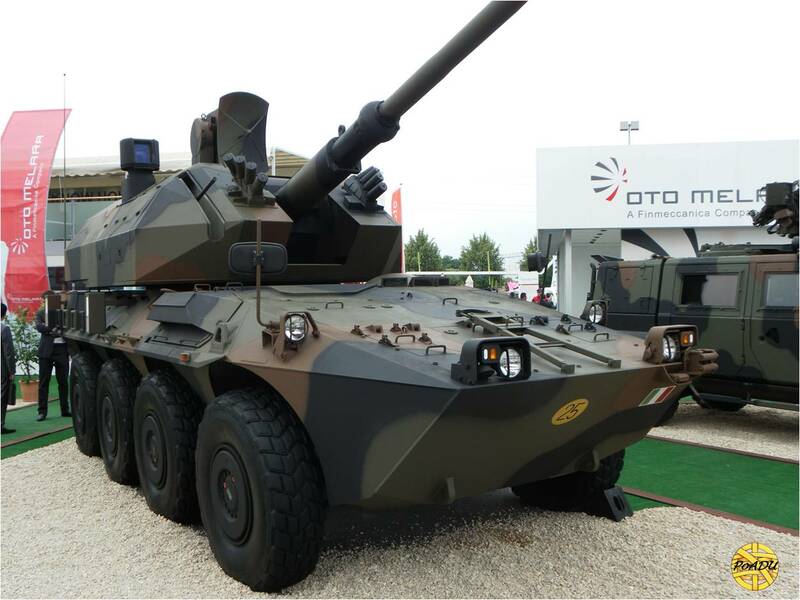 Oto Melara SpA has unveiled in June its DRACO remotely operated weapon station. DRACO has been developed to be used on air defence operations against incoming aerial targets in order to protect strategic civilian and military assets. DRACO system is able to engage aerial target including aircraft, air to surface missiles, unmanned aircraft system and helicopters. The weapon system can also provide direct- and indirect-fire support for ground units or be operated in the coastal defence role. DRACO which has a weight or about 5.5 Tonnes including armoured protection, is fitted with 76mm gun, a tracking and guidance radar antenna, a panoramic sight, a 12.7mm or 7.62mm coaxial machine gun and 76mm smoke grenade launchers. 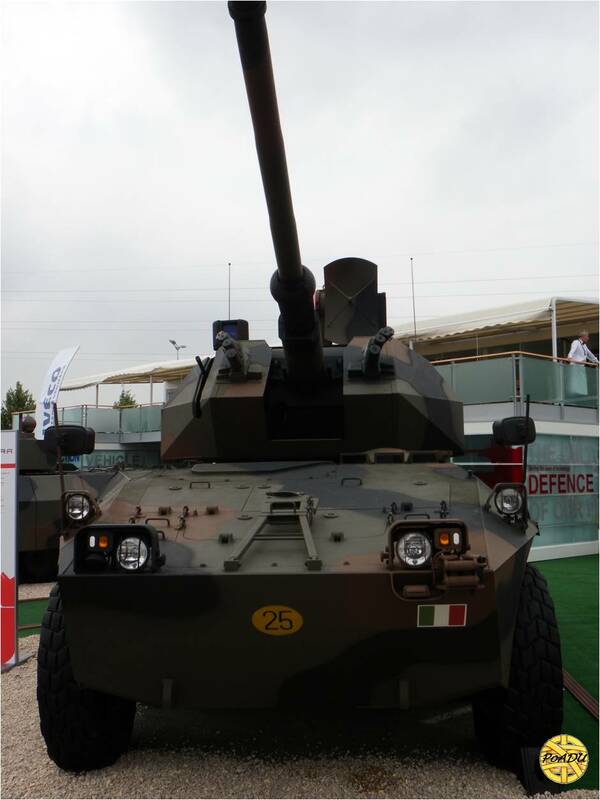 The DRACO has been unveiled integrated on an Iveco Fiat-Oto Melara Società Consortile CENTAURO 8×8 armoured vehicle armed with the SCUDO active protection system. The weapon station can be integrated on a wheeled or tracked vehicle with a minimum weight of 15 Tonnes or on a modular shelter carried by a heavy tactical truck. It can be also fitted with a communication package and a battle management system. The turret includes 12 ammunitions in the drum magazine in the rear of the turret and a further 24 rounds stowed in an automatic resupply system. In June, the Italian company has firmed a memorandum of understanding with UAE (United Arab Emirates) based company Tawazun in order to market and produce there the DRACO system under the name of SAMOUM. During the presentation, the company as referred the large quantities of 76mm gun operators (56) as the main reason to select the 76mm caliber for DRACO. German shipbuilder Howaldtswerke Deutsche Werft GmbH (part of ThyssenKrupp Marine Systems AG) has delivered the S160 NRP Tridente U209PN AIP (Air Independent Propulsion) powered submarine to the Portuguese Navy (Marinha Portuguesa) on 17 June. The 1640 Tonnes and 68 Meters long submarine will be definitely accepted by the PN a year later. Some deficiencies have been identified regarding the submarine capabilities and some requirements have not been fulfilled by the company. Over the next weeks, the shipbuilder will train the submarine crew of 32 before a new round of sea trials to be conducted as well as final outfits. The U209PN which has a ferromagnetic steel pressure hull has a combined diesel-electric fuel cell propulsion system and combines the design principles of the U209-1500 with the innovative features of U214 type. 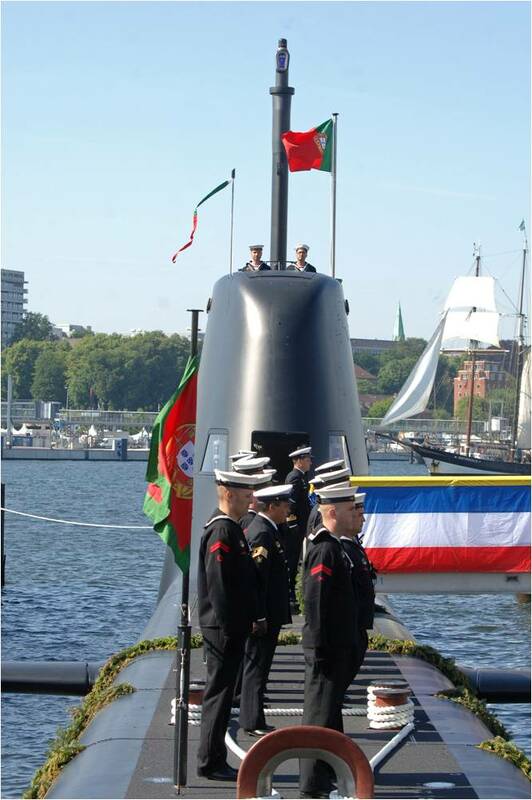 The contract for the two submarines was signed in April 2004 (Effective Date of Contract of November 2004) between the Portuguese MoD procurement agency DGAIED (Direcção-Geral de Armamento e Infra-Estruturas de Defesa) and the former GSC (German Submarine Consortium). The contract includes crew operation and maintenance training, a comprehensive integrated logistic support and integration of GFE (Government Furnished Equipment) equipments. Some of abroad trials and most of sea acceptance trials took place in Norway. Factory Acceptance Tests (FAT) took place at German company’s facilities. Part of the boats was built and outfitted at TKMS Blohm + Voss Nordseewerke GmbH. HDW GmbH started the production of NRP TRIDENTE on March 2005. The naming ceremony took place in July 2008. 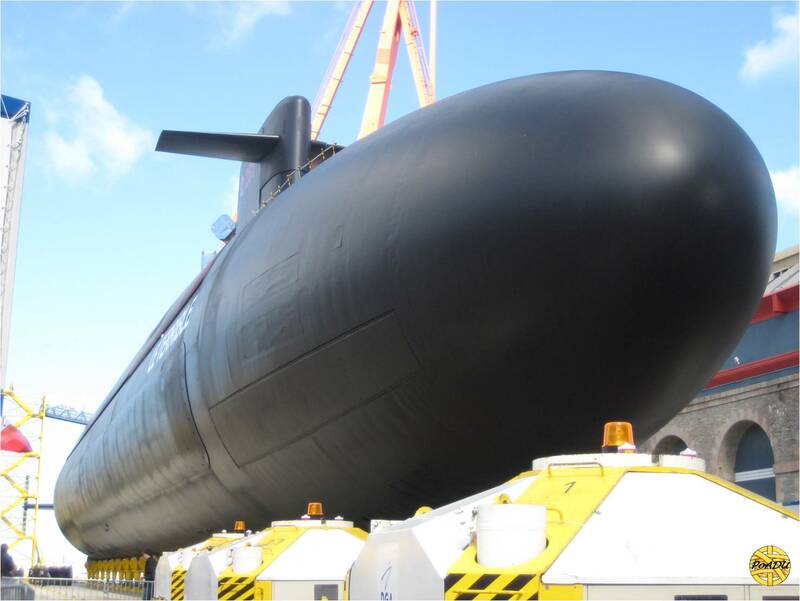 The second submarine S161 NRP Arpão has been named in June 2009 is scheduled to be delivered in 2011. Both submarines will form part of the 5º Esquadrilha de Submarinos. U209PN has a range in excess of 10000 nm for an endurance of 45 days, a diving depth of around 350 m, a surface speed of around 10 knots and a submerged speed of around 20 knots. The U209PN include a low noise six blades propeller. The U209PN is powered by two MTU Friedrichshafen GmbH 16V engines which includes Siemens AG SINAVY-CIS Permasyn propulsion motors. The propulsion package include also a fuel cells/energy converters system and SUNLIGHT Systems SA batteries. Sub-systems includes the ATLAS Elektronik GmbH CSU 90 hull-mounted passive and active search and attack sonar, EID SA SubICS communications control system, EID SA Most4Ships automatic message handling system, EID SA LF/ HF transceivers, Imtech Marine Germany GmbH platform management system, SAAB Avitronics UME-200 electronic warfare system, Atlas Elektronik GmbH ISUS 90-50 (Integrated Sensor Underwater System) combat management system, SERO 400 stabilised optronic periscope and OSM 100 non-penetrating optronic mast from Carl Zeiss Optronics GmbH, Raytheon Anschutz GmbH MINS (Marine Inertial Navigation System) inertial navigation system, AEROMARITIME Systembau GmbH AT-4125 communications antenna, GISMA Steckverbinder GmbH high-performance underwater connectors, BGH Edelstahl Siegen GmbH steel and alloys, Euronavy-Tintas Marítimas e Industriais SA ES-301 steel protection coatings, Noske Kaeser GmbH air conditioning, ventilation, refrigeration, piping and fire fighting as well as NBC protection systems, Lockheed Martin Sippican Inc add-on communications equipment, OSI Geospatial Inc ECPINS W electronic chart display and information system. MARLOG Marine Logistik GmbH is responsible for the life cycle management and logistic support. L3 ELAC Nautik GmbH supply the UT3000 digital underwater communications system, VE 5900 naval echo-sounder system and SCOUT mine/obstacle avoidance system. 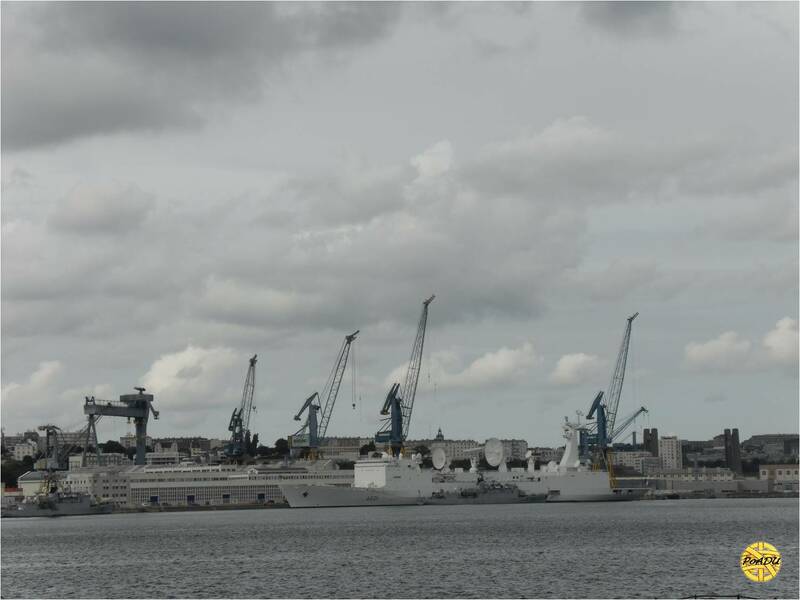 The U209PN has been selected over the Scorpène from French shipbuilder DCNS (formerly DCN International). U209PN won the contest in the fields of operations, techniques and logistic merits, maintenance costs, acquisition price, delivery plan, warranty as well as technical and logistics assistance. Note that German submarines like the U209, U212 and U214 types are mostly equipped with major systems supplied by German companies or subsidiaries based locally excepting the missiles and torpedoes for some customers. French Scorpène submarines made by DCNS Cherbourg shipyard (in cooperation with Spanish NAVANTIA SA for Chile, Malaysia and India) exported to countries like Brazil, India, Malaysia and Chile are in majority fitted with equipments developed by the French naval industry including DCNS (combat management system, torpedoes with WASS SpA and torpedo defence system), Industeel France (HLES 80 steel), Sagem Défense Sécurité SA (inertial navigation system, optronic periscope, radar and attack masts), Thales Underwater Systems SA (sonar), Thales Communications (communication systems), SAFT (batteries) and MBDA (missiles). SPHINX/SHINX D are part of all U214 class subs and partly installed on U209s in upgrade programs but the company has developed a multi-purpose system called PHOENICE which substitutes SPHINX´s. 4º Esquadrilha de Submarinos S164 NRP Barracuda, the last of four Daphné design (comprising S163 NRP Albacora, S164 NRP Barracuda and S166 NRP Delfim as well as S165 NRP Cachalote sold to Pakistan in 1975) submarines which has been retired in January 2010 has received an upgrade consisting on the integration of Atlas Elektronik GmbH MOA 3070 mine detection system and L3 ELAC Nautik GmbH LOPAS 3000 sonar. U209PN weapons solutions includes the DCNS/Whitehead Alenia Sistemi Subacquei SpA Black Shark heavyweight torpedoes, WASS SpA CIRCE torpedo defence system and MN102 MURENA multi-influence mines from SEI-Società Esplosivi Industriali SpA. When funds become available, it is understood that the Tridente Class will be fitted with a missile capability like the Boeing UGM-84 Sub-Harpoon tactical missile or the Diehl BGT Defence GmbH & Co KG/Kongsberg Defence & Aerospace IDAS (Interactive Defence and Attack System for Submarines) fibre-optic guided missile. 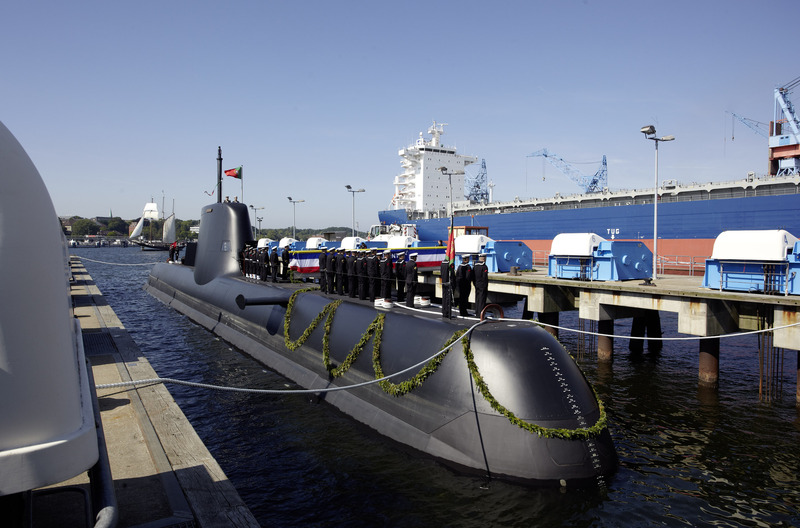 Portuguese shipbuilder Arsenal do Alfeite SA (part of EMPORDEF-Empresa Portuguesa de Defesa SGPS SA) will be responsible to carry maintenance works on the submarines and on the Black Shark torpedoes procured to WASS SpA through its representative in Portugal COIS-Comércio Internacional e Serviços Lda. EDISOFT-Empresa de Serviços e Desenvolvimento de Software SA is responsible to maintain the combat management system. This company has developed the software for the torpedoes fire control display. 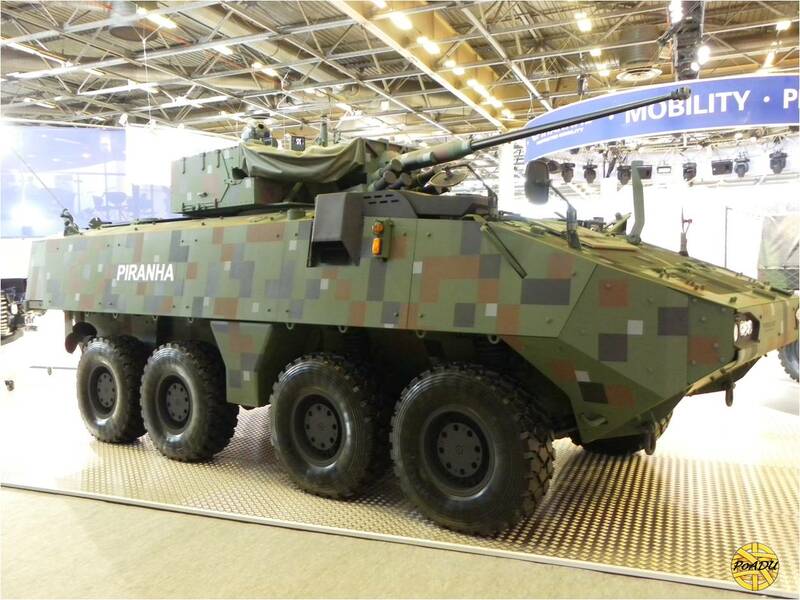 General Dynamics European Land Systems has integrated an Oto Melara SpA HITFIST OWS (Overhead Weapon System) remotely controlled weapon station on a 22 Tonnes General Dynamics European Land Systems-Mowag GmbH PIRANHA Class 3 wheeled armoured infantry fighting vehicle. The vehicle is powered by a Caterpillar C-9 diesel engine with 400 hp. PIRANHA Class 3 (formerly PIRANHA III) is in service in countries like Brazil, Ireland, Denmark, Switzerland, Spain, Romania, Sweden, Botswana and New Zealand. HITFIST OWS turret previously unveiled at EUROSATORY 2008, is armed with a MK44 Bushmaster 30mm automatic gun, a 7.62mm light machine gun, smoke grenade launchers and a twin RAFAEL Advanced Defense Systems Ltd SPIKE MR & LR anti-tank missiles combined launcher. Sensors integrated on the weapon station include the Selex Galileo SpA LOTHAR (Land Optronic Thermal Aiming Resource) day/night gunner sight, Selex Galileo SpA JANUS electro-optical turreted sensor and an ELSEL SpA meteorological device. The Government of Chile has requested a possible sale of Boeing RGM-84L Harpoon Block II tactical missiles to the Defense Security Cooperation Agency (DSCA). The estimated $50 Million sale notified to the U.S. Congress includes 20 missiles, containers, training and training equipment, spare parts, technical support, support equipment and technical publications. The missiles will be used from Type L (FFG-11 Capitán Prat and FFG-14 Almirante Latorre) and Type M (FF-15 Almirante Blanco Encalada and FF-18 Almirante Rivero) multi-purpose frigates formerly sourced in the Netherlands. On July 10, the French Navy (Marine Nationale) has fired an M-51 strategic nuclear missile from the S619 SNLE-NG (Sous-marin Nucléaire Lanceur d’Engins-Nouvelle Génération) Le Terrible nuclear powered submarine. The submarine built by the French shipbuilding company DCNS will be officially delivered in September. The launch performed by the French Navy and the DGA (Direction Générale de l´Armement) procurement agency has been monitorised from the DGA missiles test center and from French Navy A601 Monge survey vessel.